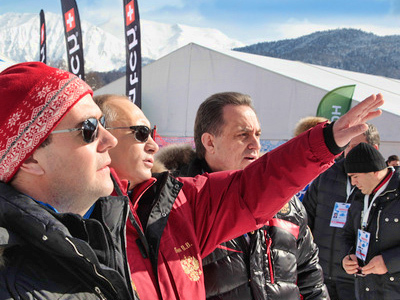 On Tuesday, President Dmitry Medvedev ordered an investigation into overpricing practices at 2014 Winter Olympic construction projects. Medvedev said at a meeting with the Kremlin's chief auditor, Konstantin Chuichenko. “Such facts must be consistently dragged out and made public." The statement came after Medvedev learned about Chuichenko’s report, which revealed, among other things, a doubling of prices within one year for fill materials such as sand, crushed stone and pebble. Last year fill materials cost 360 rubles per ton, but since then the price skyrocketed to 800 rubles, according to the report. Meanwhile, the average price countrywide is 250-400 rubles, according to Chuichenko. 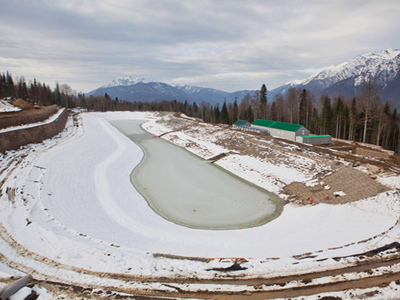 Russia has already spent over $30 billion for the construction of hundreds of sports facilities and infrastructure in Sochi, host city for the 2014 Winter Olympic Games.